Photography Blog has reviewed the Canon Digital IXUS 95 IS (know as PowerShot SD1200 IS on some markeds) compact digital camera. This entry level camera features a 10 megapixel image sensor and 3x optical zoom. Photography Blog ends up giving the Canon Digital IXUS 95 IS a “Recommended” rating due to the cameras ease of use and lots of features for a good price. One downside is the lack of HD video, but that might not be a deal breaker. 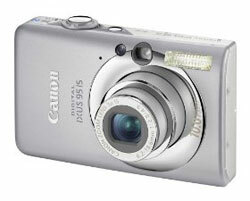 Read the full review of the Canon Digital IXUS 95 IS camera here. 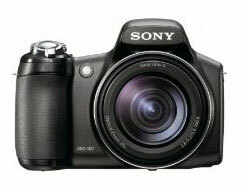 Digital Camera Resource Page has reviewed the Sony Cybershot DSC-HX1 compact digital camera. This superzoom camera features a 20x optical zoom lens, 3″ LCD screen and 9.1 megapixels. Digital Camera Resource Page ends up giving the Sony Cybershot DSC-HX1 camera an average rating as the camera seems to apply a lot of noise reduction to the pictures. The camera has a great zoom range and optical image stabilization that works, but the most important part, image quality, could be better. Maybe one should look at a bit pricier cameras to get pictures of good quality. 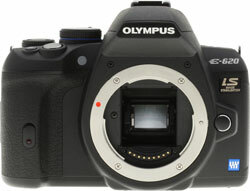 Digital Camera Review has tested the new entry level DSLR camera from Olympus, the Olympus E-620. As I am an owner of the older Olympus E-500 it is interesting to see how this new Olympus camera is able to hold up. Digital Camera Review ends up giving the Olympus E-620 a good review as you get a lot of the Olympus E-30 features for a lower price. 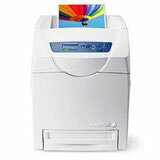 The camera is able to take good pictures and contains a ton of good features. The kit lenses are also of very high quality. The only downside is a bit off and on auto focus, some noise at higher ISO levels and Live View could be better. Overall the Olympus E-620 seems like a worthy camera for people interested in shooting with Olympus cameras. Read the full review of the Olympus E-620 camera here.